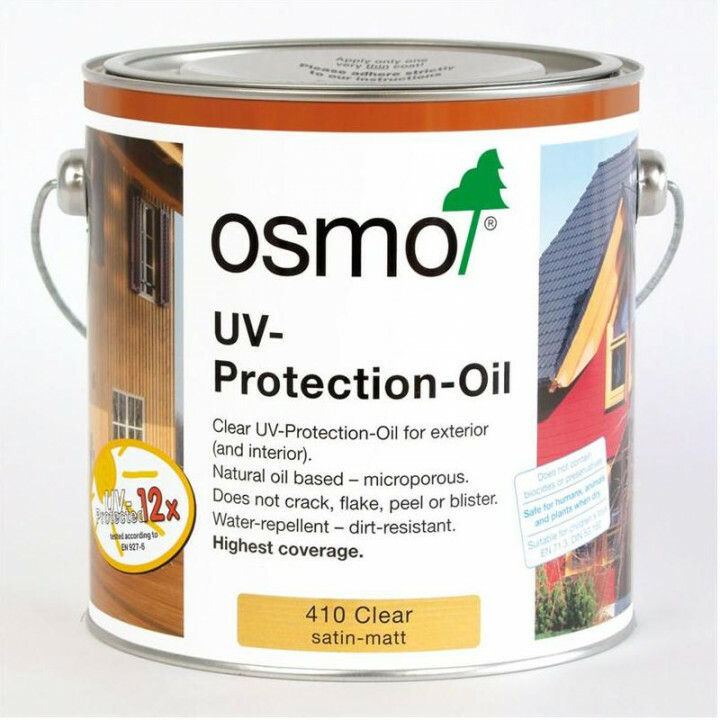 Osmo UV protection oil, the professional's choice, is based on natural vegetable oils and waxes. 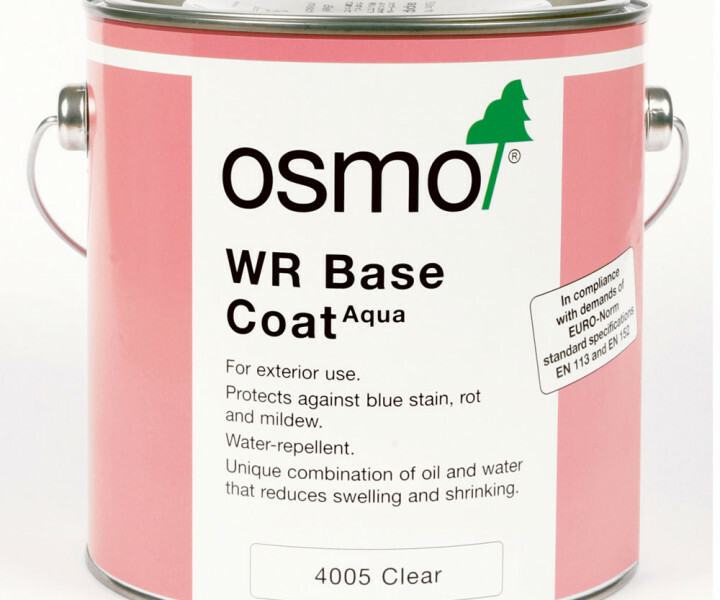 It is micro-porous and does not crack, flake, peel or blister. 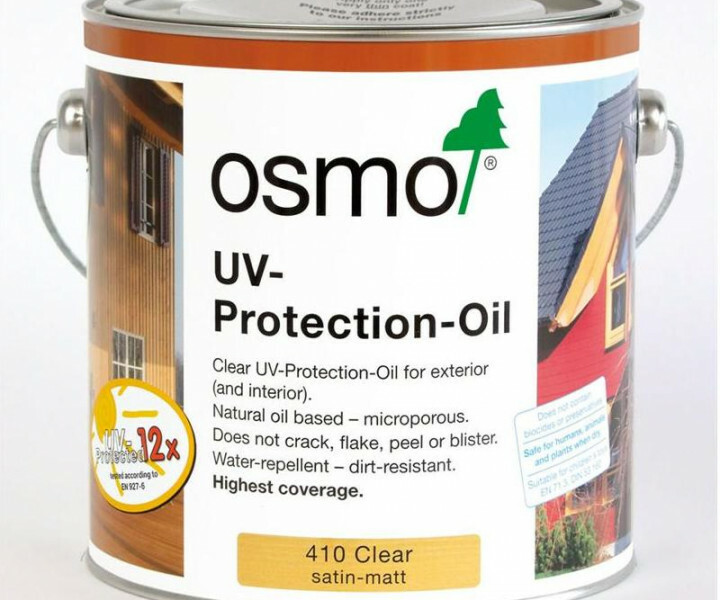 It will protect the natural beauty of wood used externally, helps block the greying process occuring to untreated wood, and prolong renovation time to stained wood. 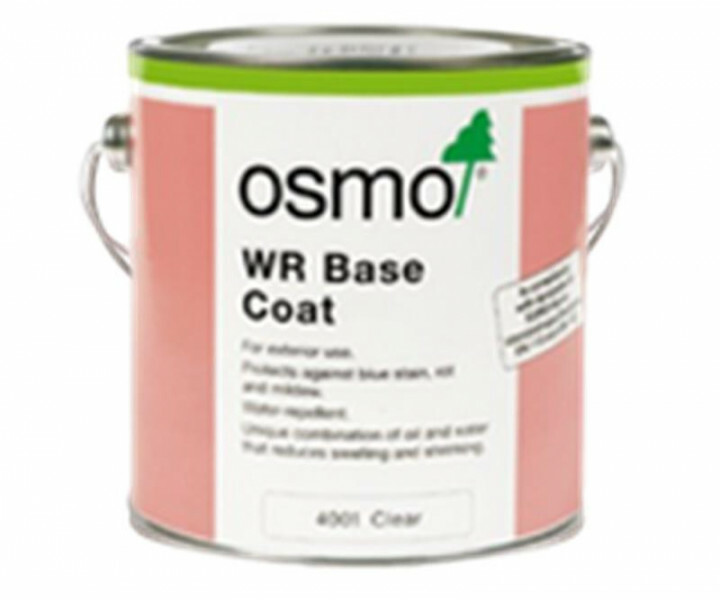 Great for all exterior joinery, furniture, and decking. 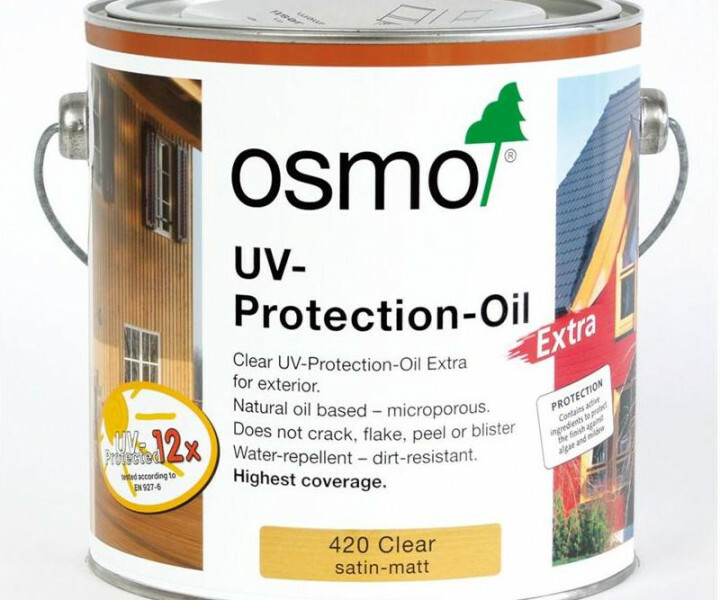  Be careful of marginally cheaper imitations of this leading wood floor finishing product.